We recently moved to the country, which means my garden almost tripled in size. Gardening is a passion of mine and I love growing all kinds of new things. I knew I wanted to grow pumpkins this year because I enjoy making homemade pumpkin purée and also growing pumpkins is just FUN. 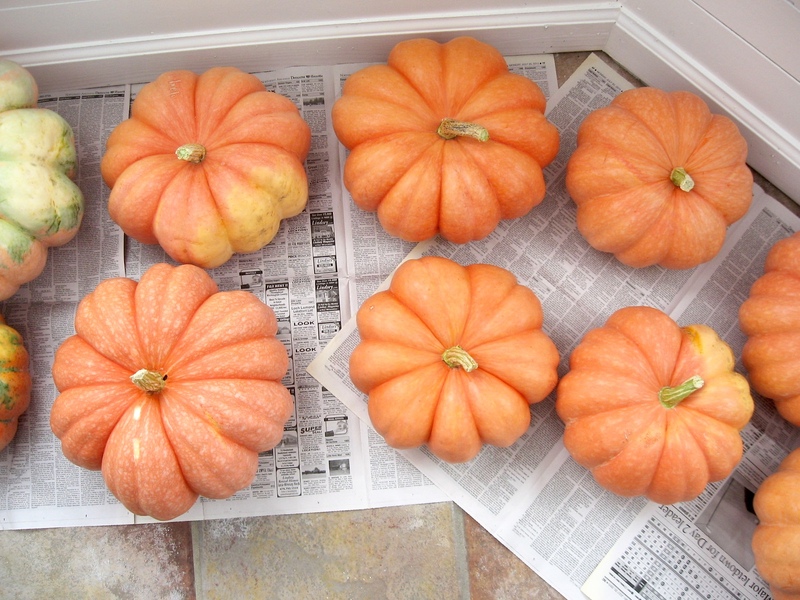 The pumpkins that I chose to grow are called “Moranga” which is an heirloom variety. Watch the video below to learn more and see my full harvest. We ended up with a ton of pumpkins this year which makes me so excited! I plan on using a lot of them for decorating because they are just so beautiful, but I also plan on storing some of them for when I want to make my Homemade Pumpkin Purée. I will go ahead and bake up a few of the ones that have broken stems or visible damage because I know they won’t store very well. 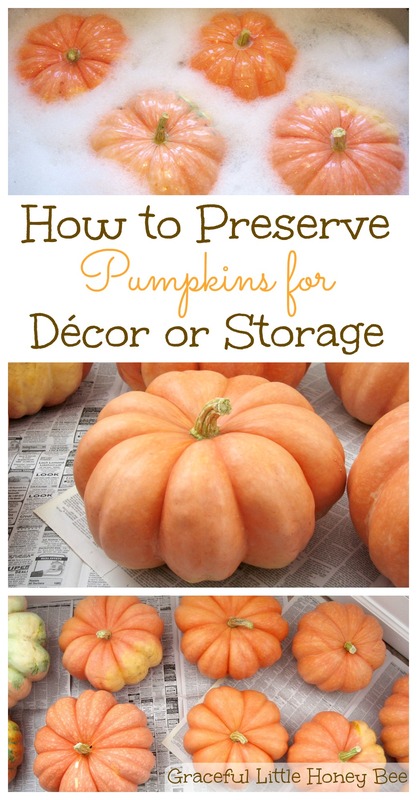 Whether you’re using them for decorating or for storage purposes we all want our pumpkins to last longer which is why I’m sharing this easy tip with you today. Enjoy! 1. Fill your sink with water and add 1 tbsp dish soap per gallon. 2. Let pumpkins soak 5 minutes. This kills any bacteria on the surface of the pumpkin that can lead to early rot. 3. Gently remove any visible dirt with your hands or a soft scrub brush. 4. 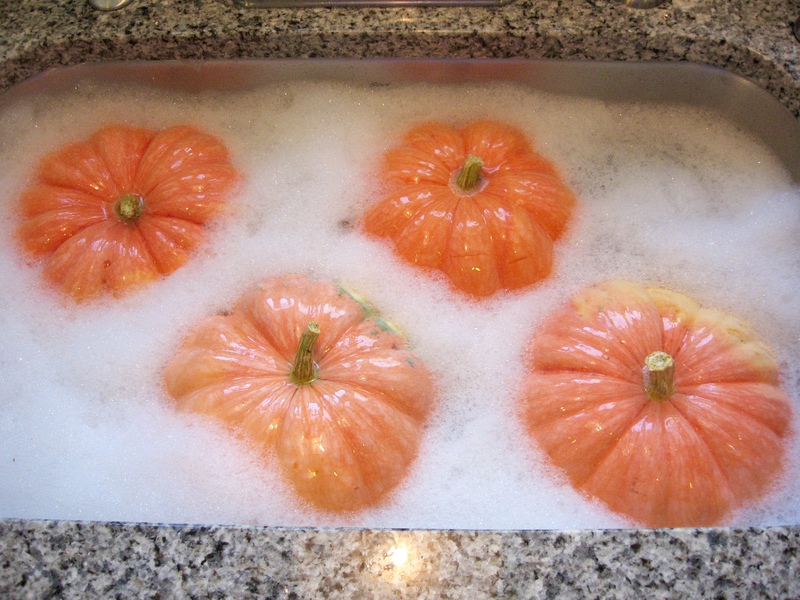 Rinse pumpkins and dry thoroughly. Moisture is not your pumpkin’s friend. 6. Leave them for 2 weeks periodically checking the newspaper for moisture. If you see moisture, wipe pumpkins dry and place a fresh piece of newspaper down. 7. After 2 weeks your pumpkins are “cured” and can be stored in a dark, cool area. They should last 2-3 months. Do not store with apples. Do you grow pumpkins? Have you ever kept them in long-term storage? I’d love to know! I had no idea you could do this! I don't have any pumpkins this year, but sometimes I have some that I really want to keep to use later. Will definitely try this! 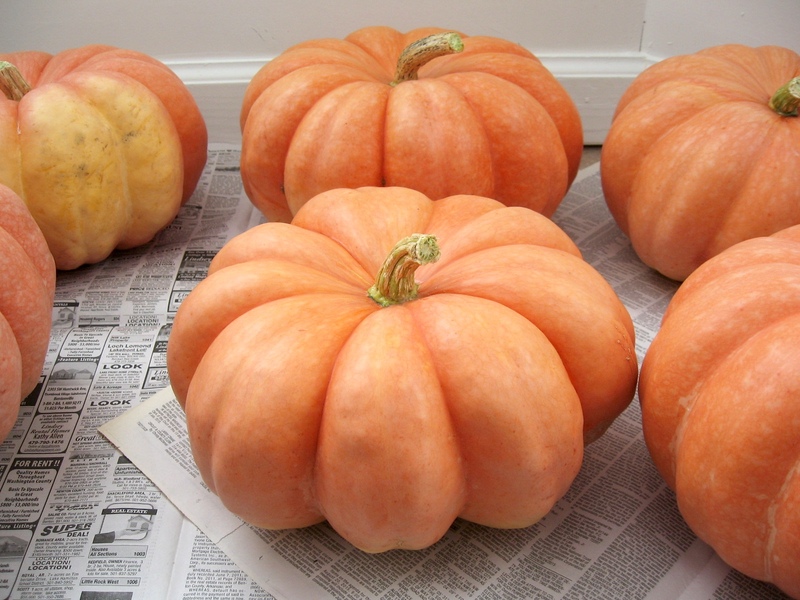 I grow a Japanese variety called "Futsu" looks like a pumpkin but is a squash.Think this will work for display,not eating?